Imagine you have spent an hour carefully considering products in a store, weighing up the pro’s and cons and veritable merits of the various goods. You have come to a purchase decision, although you still have some doubts but head to the checkout anyway. At the checkout you are forced to sit down and fill out lengthy form about who you are and pick passwords and usernames. Once completed you hand over your card to pay only to be told that the store does not accept American Express. As you have no other way of paying at the time you are forced to leave the store and abandon your purchase feeling angry and disappointed. This happens every day online. The abandonment rate for online shopping carts can be 50% and the same is true of in-game purchases for video games. By limiting the number of payment options and increasing the steps a user has to take to pay you are increasing unnecessary friction. This will lead to users dropping out of making purchases, lowering your conversions and increasing player dissatisfaction. Now ask yourself, if you were the user, would you purchase again and even worse, would you stop playing? If you are going to operate worldwide you need to think about payments on a global scale and that means understanding local markets. For many English speaking territories this can be daunting having been used to a fairly static payments market where it is very easy to get by with Visa, Master and of late PayPal. However even here things are changing rapidly, with the market beginning to demand more frictionless options for smaller micro-transactions and more convenience from their payments. In the UK it is estimated that 11% of all online payments are now what the industry terms “Alternative Payments” i.e. Mobile, Bank Transfer, Direct Debit, eWallets and other non-credit/debit card based payments. Globally AP account for 22% of total transactions by value. Of these new AP eWallets are seeing the most growth with WorldPay predicting that they will account for nearly 50% of all AP by 2015. Understandably the major players are now rolling out their own versions of eWallets such as Visa’s V.me and MasterCard’s MasterPass. However many countries have been using eWallets for several years already and understanding what has happened in these markets will help you gauge the future possibilities in others. 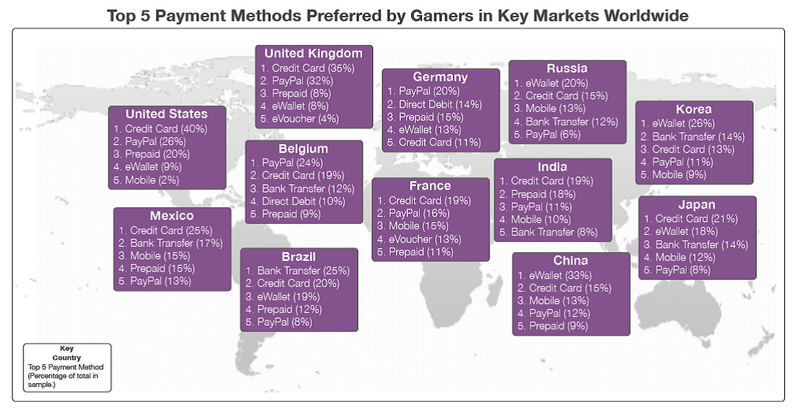 In truth the global payments market is exceptionally fragmented and localized which makes pushing your games and their purchase or in-game commerce into new regions complicated and possibly expensive. But it has been proven time and again that customers will abandon purchases if they don’t see their preferred payment option. On top of this many will also abandon if they have to complete a transaction in a currency foreign to them or with a foreign bank or other payments mechanic. Just to compound the issue the video games market also has a number of specific or closely associated payment methods and aggregators more widely used in this industry than say standard ecommerce. With the introduction of micro transactions to games mainly from the burgeoning F2P sector we now have more options for payments than ever before. At the bottom of this article you will find a good infographic (though not video game specific) that goes some way to so show the broad range of options available. 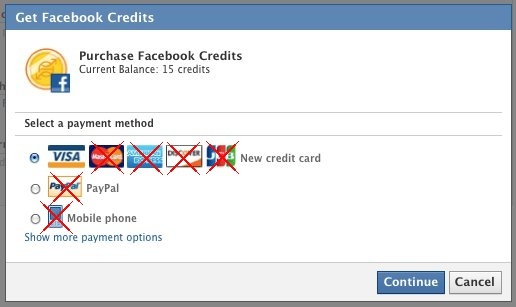 Of course offering users more choice of payments comes as a kind of double edged sword to the developer. While users have more options, you face headaches over integrations, pricing and possibly user confusion. Depending on your platform integrating with some of these methods can be difficult and cost you man hours in building out the necessary integration. You may have to use third parties or bounce off others all of which complicates matters. If you are developing for a specific platform, i.e. iOS then you are tied directly to whatever the payouts of that particular market place might be. Below is a video from the Casual Connect Europe Conference 2013 that has a particularly good section on the various mobile marketplaces, their payout rates and pros and cons as regards tax and legal liabilities. Pricing also varies widely between methods and while you could typically see low costs of around 3-4% for credit card transactions something like SMS payments can be anywhere between 25-30%. This requires that you understand your user and make fundamental decisions about what you should and can afford to offer them. For a mobile game that involves micro transactions, of less than $1, where users may not have access to credit cards etc it makes sense to offer SMS billing. However for a full price product available on a store it would not. Though the % in costs would be no different between the two, store users are more likely to be happy to pay with the less expensive methods allowing you to retain margin without effecting customer satisfaction. 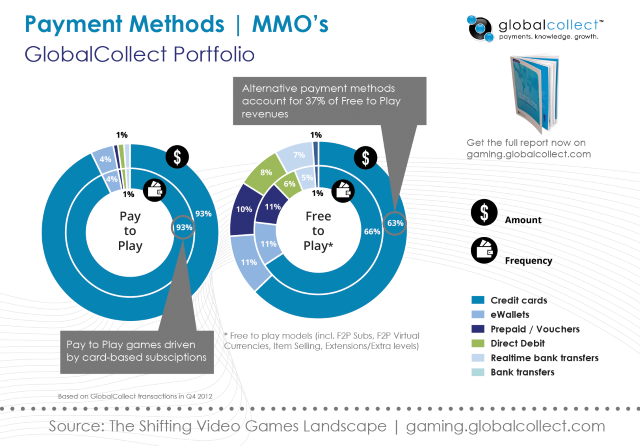 Many games are now incentivizing their payment methods by actively offering players greater value for money from less expensive payment types as a way to pass on the saving to users and retain greater margins. Others hide or proactively sort their payment types to sway users into choosing one over another while still retaining a large roster of options. On the subject of customer satisfaction, while it may seem that the more options you offer the user the better it is not always translated through to the results you see. The problem being that when it comes to cart flows and payment pages, less is most definitely more. The purchase phase of any decision is always the most fragile step in the buying process. Users do not want or appreciate being confused or unsure as to what to do next and by offering too many payment options, not making payment types self-explanatory or difficult to use you are creating unnecessary friction, which will undoubtedly be represented by lower conversion rates. People want simplicity from their payments. For any changes to your payment process including adding new payment methods I would advise that you run a simple A/B test to measure the impact. You can go more complex and even look at multi-variant testing if you have the knowledge but even simply splitting users 50/50 to hide or show a new payment method will give you good insight into any benefits. You can then either dismiss the change or perhaps weigh it up against any costs involved. If you are going to run testing though please do ensure you have enough data to make an informed decision. Simply running a test for an hour or even a day is not enough. Ideally you need to run tests for a number of weeks, unless your traffic numbers are huge but even then you want to account for days of the week or in game sales plus other external factors like national events or competitor advertising. The goal is to get a rounded idea of impact. As mentioned earlier payment options are exceptionally diverse, especially when working at a global level and deciding on which types to adopt will largely depend on what markets are important to you. If you users are 99% North American there is no point adopting Yandex until you localize your product for Russia or are getting significant Russia users. That said in some cases it may not be as clear cut and could be a case of “chicken and egg” so you don’t see as many foreign users because you don’t have their favored payment method. Below is a snapshot of the current payments world for some main and upcoming countries. As you can see in these 12 countries there is already a major variance in the options and their uptake and this still does not take into account the regional versions of these payment types. A good example of this is credit cards in France. On the surface credit cards seem to be the most predominant type of payment but once you work in the country you realize that 30% of the market is the Carte Bleue card which is a local card type specific to France (although affiliated with Visa). If you offer Carte Bleue, you will need a French entity or employ a payment service provider. Another example is bank transfers, whilst essentially the same process (though can be online or offline) each country can have its own variation. So in Brazil the most popular would be Boleto Bancarios, whereas in Germany it is Sofort (Sofortüberweisung). These local variations can also have their own costs or risks such as ELV in Germany which requires additional levels of fraud screening as the standard setup has few real checks in place. Whilst you may lower your fraud risk by not providing ELV you then cut out a large section of your users given that ELV accounts for nearly 30% of all online transactions in Germany. These local variations can have significant impact on your business. At the bottom of this article I will post some links to country guides by the major players in this space. When considering payment options you need to make sure you are looking at and working with specifically video games orientated payment types and payment providers. On top of this you need to understand your own demographic and how this will also impact payment types. If your game has a very young demographic like a pet management game then its likely prepaid cards and cash options will be highly valuable to your business. However if you have created a train simulator with a much older demographic they may want credit cards and bank transfers. The world of payments is seemingly getting more diverse but this is mainly due to the fact that more markets are now accessible and have their own requirements. However the big players are now pushing into new areas and it’s likely that eWallets will become the payment method of choice for online in the future. How long they will hold sway though is anyone’s guess and there are plenty of other systems out there to choose from. The payment methods in any given region are normally a product of the maturity of the market and the specific tendencies of users. Russia was predominantly a cash based society with many people choosing to pay cash at ATM style terminals for bills and products, but this is changing. Credit cards are becoming popular again as old security fears and market penetration is pushed aside by an expanding economy. China has far more debit cards that credit and cash on delivery is still widely used but again as the economy grows more options are taking over as operators work at a larger scale and foreign businesses look to break into the market. 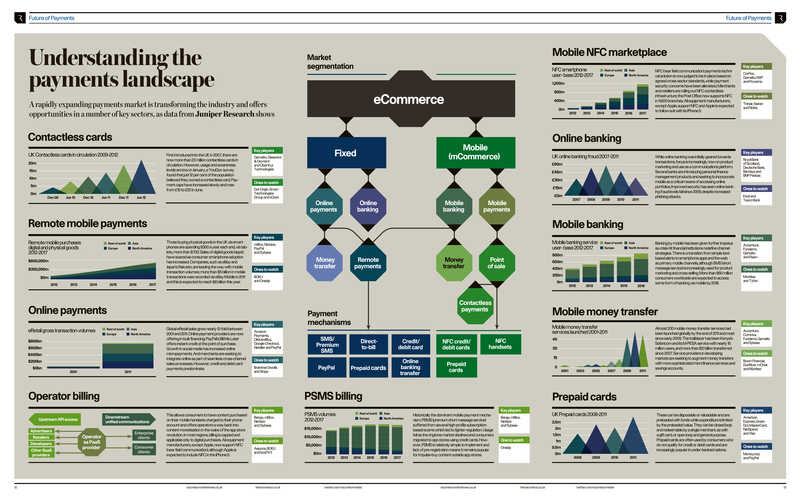 Perhaps the biggest unknowable change to the market will come from the mobile sector as the line between mobile phone operators and banks become blurred and innovations like NFC and contactless payments become widely used. Companies like Zong are driving this market in the online space replacing older SMS style payments for micro transactions but the technology is being used by other payment providers and mixed with eWallets to create something between the two. Alipay the favored PM in China, with over 700 million registered accounts I think it’s highly unlikely their ambitions remain with one country. Klarna a Swedish payment method that allows users to pay after receiving the goods but takes on all financial risk for the merchant. Currently only in 7 countries and mainly still Nordic based they are expending rapidly and venture backed by the same people that though Google might be a pretty neat idea. They currently have their sights set on the US market (I once very nearly got a job there myself, but that’s a story for another day). In closing, payments are complex and unless you have in house expertise for the majority of cases its best to work with payment providers and aggregators to get the required options in a package. Understand your markets, listen to your players and push your provider to give you the coverage you need at a reasonable cost to your business. Don’t be afraid to mix and match and make sure you test, test, test. WorldPay - Alternative Payments Report.